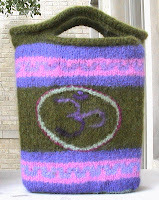 Thanks to Dawne's 15 year old son's assist here is a link to the pattern...it was not easy to find! 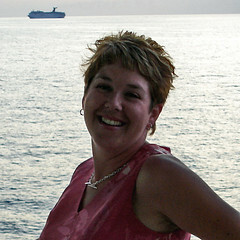 Lucy Neatby DVD's Susan L.
I had no idea what Sahara was either! Thank you for the link! Once you saw it was it familiar to you? I think it was to me...it looks like a great pullover. Fabulous show, as usual. Thank you! I just wanted to say hello and comment on the fact that I have the absolutely opposite problem with knitting needles. My preferred size needles are actually the smaller ones. Since I'm a mostly (these days) a sock and lace knitter, I find that I prefer to work on size 0-3's. In fact I am finishing up my Tilted Duster (I'm having a great time and it's turning out great) I find that my hands are getting tired from using the big needles. I even had to go down to a size 8 to get gauge. Hello. I like your enthusiasm. 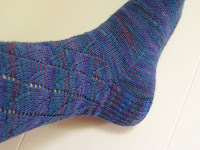 You're enthusiastic even as you put down socks, expensive bulky yarn, etc. I enjoy your podcast. 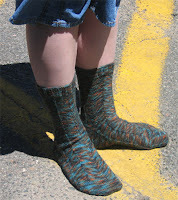 If you don't like tiny needles, why not knit socks on worsted weight yarn? I had to learn on my own. 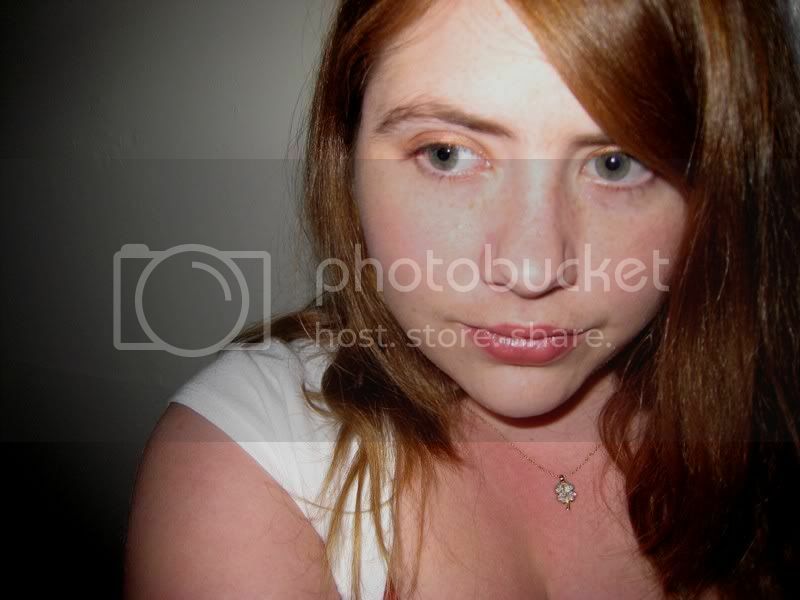 Lessons were expensive and unhelpful and confusing. Anyway, I found sockknitters 101 on the internet. You can do a knitalong project or print out their step-by-step lessons and do it at your own pace. I wanted to learn on cheap yarn, so I found a bell lace pattern using wool-ease. Fast and you can see your mistakes almost immediately, unlike on 0s or 1s. 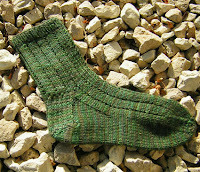 There are other worsted weight socks on line. If you'd like, I could send you some links. These are fast and, therefore, perfect for 5-year-olds or other little and not-so-little kids, who want it NOW. 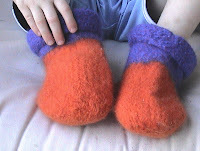 Also, wool-ease and cotton-ease is great for kids who poke through toes on socks quickly.